Trent Bridge will host a free, drop-in event to commemorate the World War One centenary on Tuesday 2 October from 10.30am - 3.30pm. The event will be held in the Trent Bridge Pavilion, which was used as a wartime hospital that cared for many of the wounded, and all are welcome to attend. Visitors can enjoy a host of activities on the day, including exhibitions, talks and guided tours, with the chance to discover fascinating local stories from the Great War. There will be displays and activities from local heritage groups including Beeston & District Local History Society, Flintham Village Museum, Great War Study Group, Lifelines, the Mercian Regiment Museum, Nottinghamshire County Cricket Club, Radcliffe-on-Trent WW1 Group, Royal British Legion, Ruddington Village Museum, Western Front Association and West Bridgford & District Local History Society. 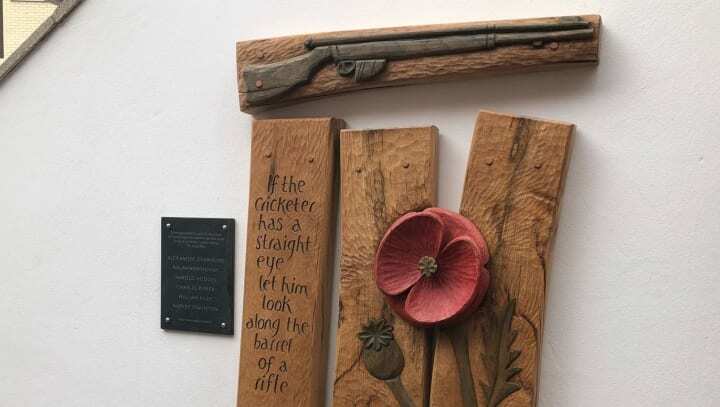 See 'behind the scenes' with tours of the Pavilion where volunteer nurses cared for injured servicemen, and take the ‘Walk of Remembrance’, honouring the six Nottinghamshire cricketers who died in the war. Light refreshments and a licensed bar will be available, with on-street and pay and display parking nearby. NCT and TrentBarton services stop near the Pavilion, with services running every 3 to 5 minutes.